The second Annual Top Tech Challenge wrapped up last week at the inaugural RVX with a victory for Brandon Galbreath of D&N RV Service, who took the crown for a second time! 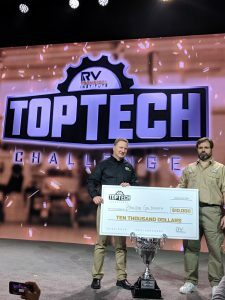 A large crowd gathered at the Salt Palace Convention Center to watch and cheer on the best technicians in the industry compete in an intense, winner take all, timed challenge to diagnose and quickly repair RV appliances and components. 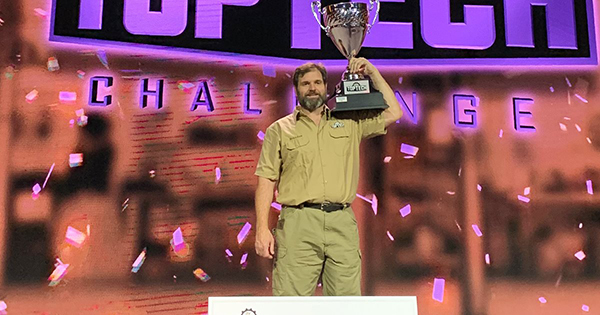 Galbreath was proclaimed Top Tech and presented with a $10,000 grand prize for correctly diagnosing and repairing the sabotaged equipment in the fastest time! 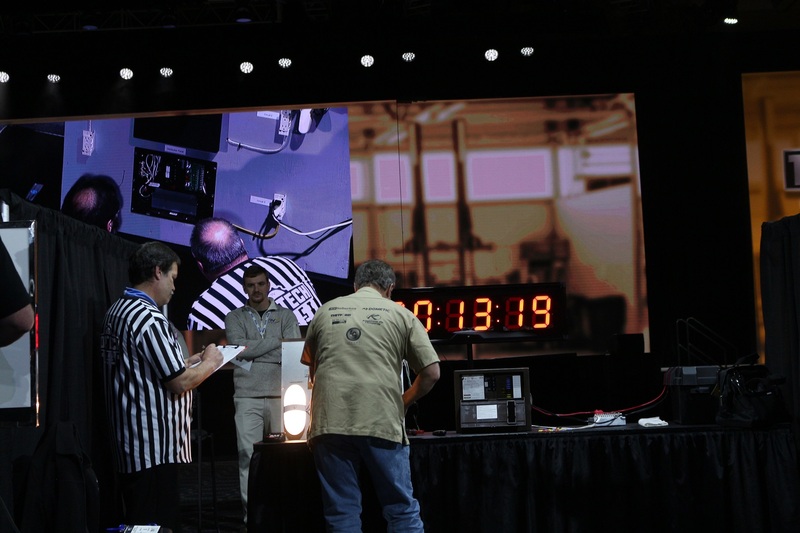 The challenges tested electrical knowledge, leveling, junction boxes, AC electric, furnaces, and refrigerators. The finalists were presented with statements such as, “Customer states that furnaces fan comes o n with no ignition,” or “Customer states that CFX box freezes everything, even when set above 32 degrees.” From there, the techs were given 15 minutes to look at each of the six stations and diagnose the fault with the piece of equipment. 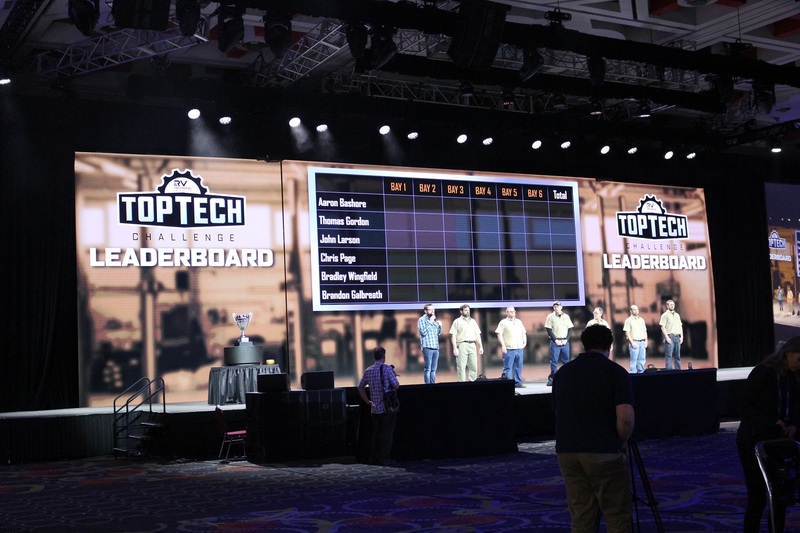 The competition, sponsored by Airxcel, Dometic, Lippert Components ,Thetford/Norcold and Keystone, pit RVDA/RVIA certifies service techs against each other to determine the Top Tech of the year. All contestants diagnosed and solved all six stations earning points for using the correct procedures and diagnosis.